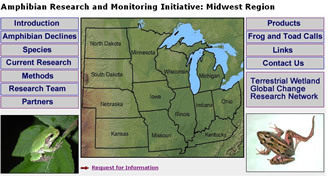 Provide useful information that resource managers and other stakeholders can use to enhance the conservation of amphibians, reptiles, and other resources, in the face of global change and other stressors. 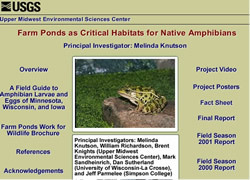 Estimate the presence/absence and relative abundance of amphibian and reptile populations. 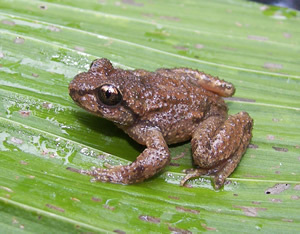 Conduct studies on abiotic and biotic environmental changes affecting amphibian and reptile populations. 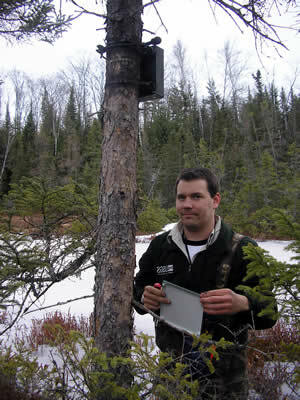 Identify the factors that contribute to and/or limit the conservation and recovery efforts of species-at-risk. 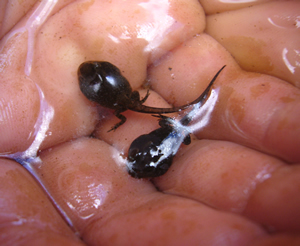 Study amphibian populations, and global change, at both short- and long-term sites to enable the detection of amphibian responses to various types of changing conditions. Develop new tools, approaches, and capabilities to improve the effectiveness of our research.